Maxi-Enduro, Tourer, Scrambler, Crossover … The Milan Motor Show 2017 introduced a wide variety of new models to the world of valiant motorcycle riders, with unseen cylinders and targeted upgrades. 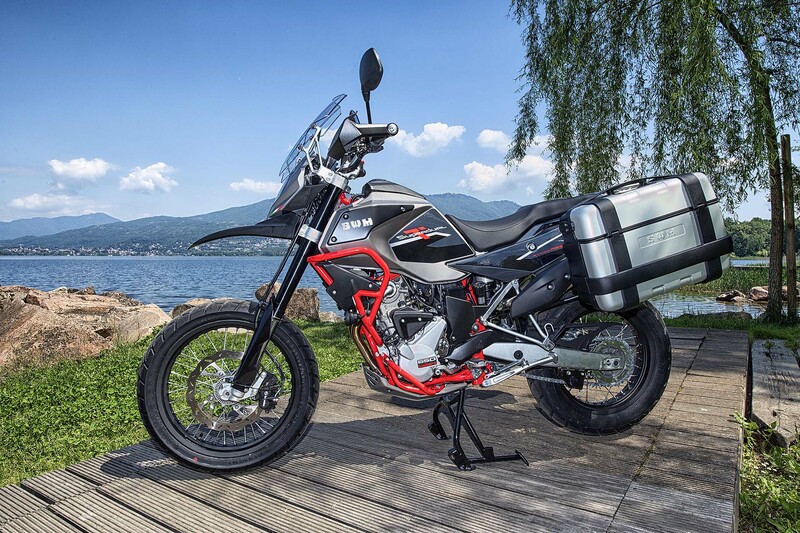 A positive sign, which has further raised the public’s interest in two-wheeled adventures and will serve to strengthen motorcycle sales, particularly in the area of road/off-road touring models. The unreleased F750GS and F850GS crossovers share the same technical base and have a steel structure with a perimeter frame and compared to those still on sale, they have a different, fully revised engine capable of producing 77 and 95CV respectively. The 15ltr capacity fuel tank is located precisely where you would expect to find it…..and it is not beneath the saddle. 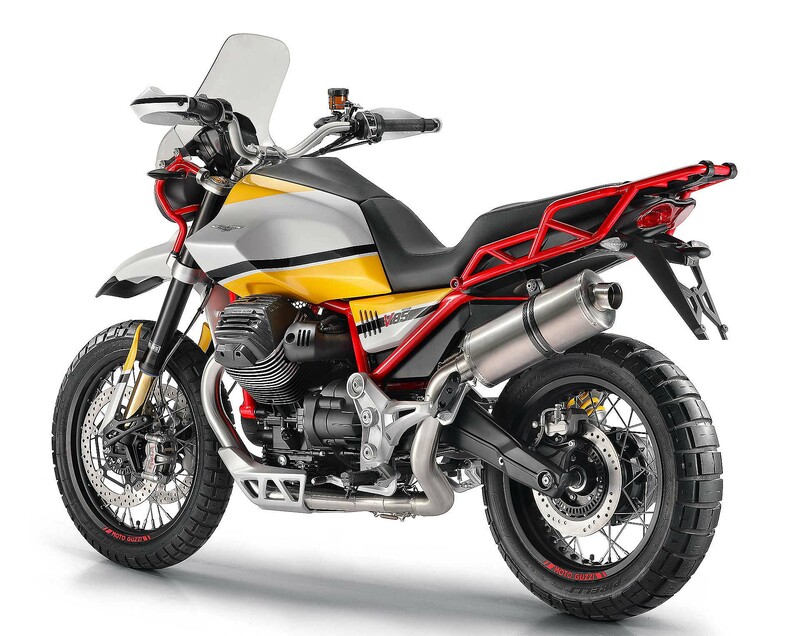 The two new BMW models are both abundant in equipment including LED lights and interactive instrumentation; the smallest being equipped with 19” and 17” wheels, the 850 with its radial spokes and 21” front tyre, is more suited to dirt tracks and the Rallye variant is also the layout for the new R1200GS Adventure. The Multistrada 1260 crossover updates the range by offering a DVT engine with 1,262CC and almost 160CV. However, new technical developments have been applied to the chassis with geometric and electronic changes and now it is even more sophisticated with uphill assistance also being included. Ducati presents this model in four different variants: Standard, S, Pikes Peak and S D-Air. Equipped with all the right accessories, the new Scrambler 1100, the third variant of this auspicious model, perfectly suits long journeys. The list of riders who have already travelled around the world with a motorcycle belonging to the Multistrada family is extensive. The 1200 is recognised by its double high discharge and its increased suspension and brakes. 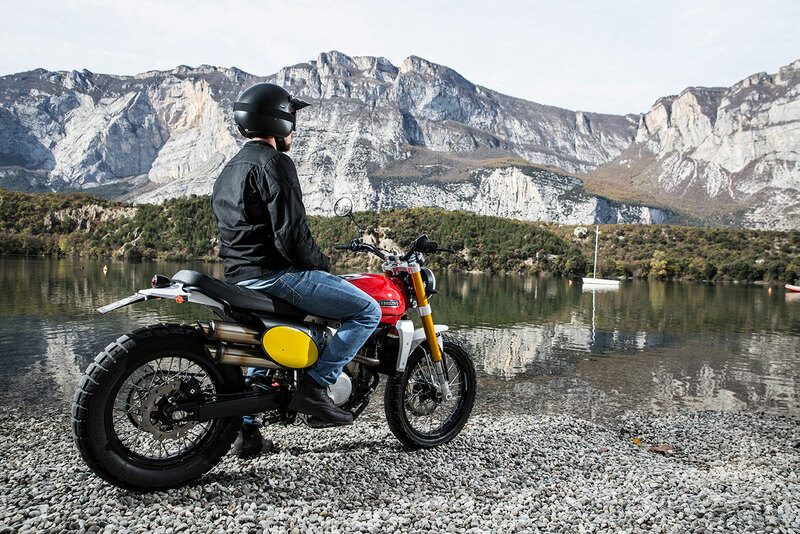 The Caballero 500, in the version of a Scrambler, has the potential to become an “adventurous” two-wheeled machine and universal accessories are available to set it up perfectly for travelling. The motorcycle incorporates a 43HP / 449CC mono, beautiful twisted wheels, 19″ and 17″ spoked wheels and an overturned fork. It weighs just 145kg and it will be arriving in 2018. 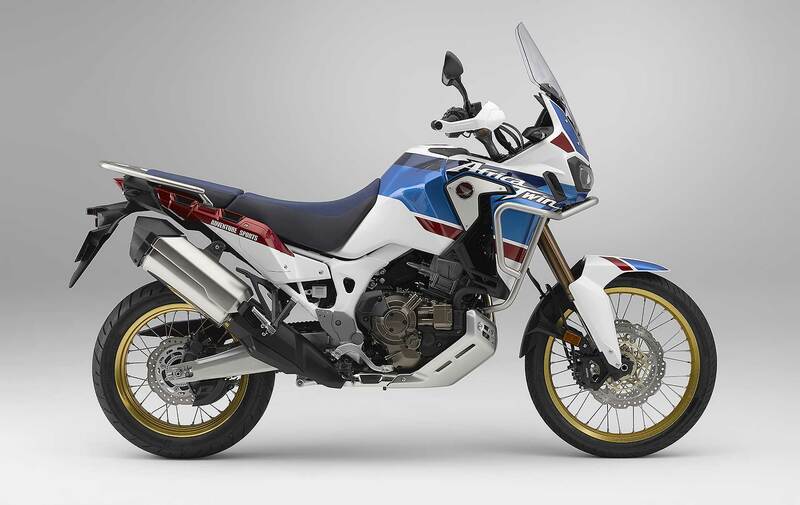 The Africa Twin arrives in the Adventure Sports category and with its 24-litre fuel tank it can exceed 500km. With adjustable suspension that has increased ground clearance, the new Africa Twin is available with either a DCT or standard gearbox. The driving position lends itself to being more “off-road”. The H2 SX is the brand new, powerful sports tourer which is also available in the more popular SE version. It has a 4-cylinder 998CC in-line engine and easily exceeds 200HP. To make the motorcycle comfortable during touring, there is ad-hoc mapping. The fuel tank has a capacity of 19 litres (providing over 330km of travel) and the driving position is more erect than the Ninja Sportsman, which creates a larger pocket of air for a more comfortable ride. 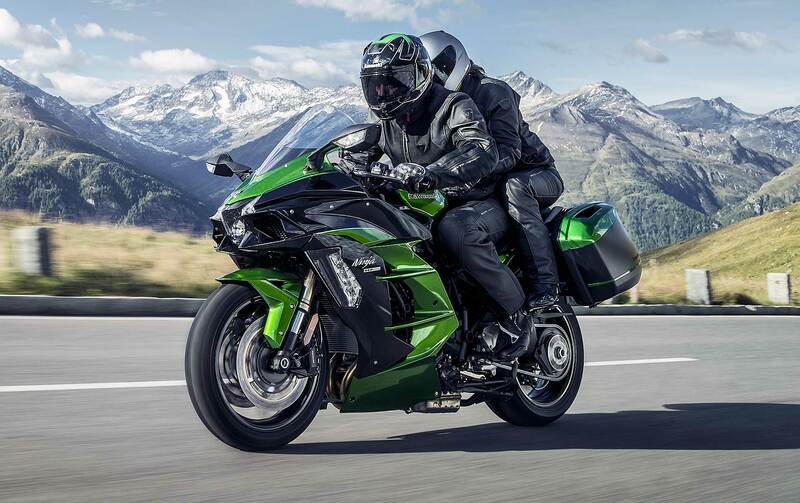 There have been no technical upgrades to the 1000 and 650 versions of the Versys, which are scheduled to be arriving in the New Year with brand new colours. 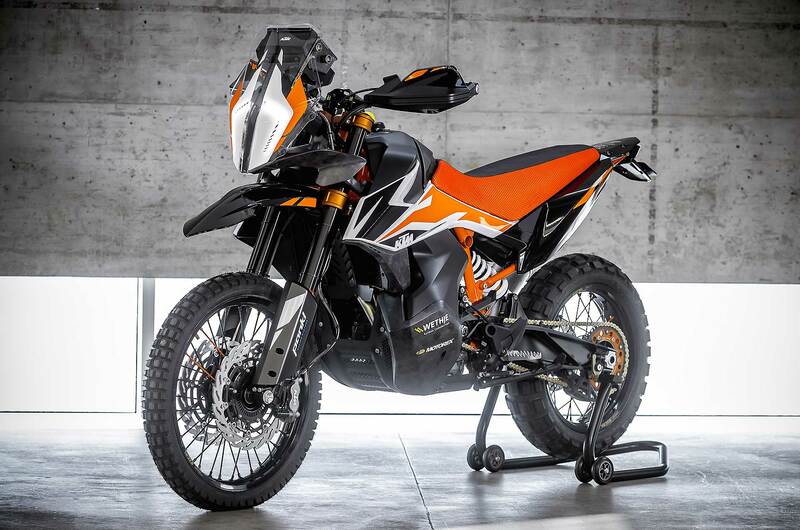 We eagerly anticipate seeing the KTM 790 Adventure hitting the streets. At the moment, everything is pending and as far as the prototype is concerned, with its beautiful aesthetic lines that replicate the Dakar motorcycle and marks its Enduro vocation, its studded tyres and 21” front wheel… it provides a multitude of opportunities for riders interested in traveling safely both on and off road. Developed on the basis of the DUKE 790, it should “see the light” somewhere between the end of 2018 and Spring 2019. Sometimes things make a come-back and in this instance we are talking about the sidecar, which was once popular thanks to its ability to travel by motorcycle … in threes. It was great to see it featured at the French MASH stand. Called Family SIDE it is powered by a 400CC engine. It is well appointed and can be driven with an A2 licence. It is undoubtedly a super niche model … but nevertheless we decided to include it in this review. A new version of the Scrambler 1200, which has been heavily revisited resulting in a new chassis, swing-arm and with 70’s style high handlebars and studded wheels. The engine is the same twin-stroke V Corsa that is being used in another model launched by Moto Morini, the MY2018. With all the right accessories, this naked “all terrain” vehicle could safely become a touring motorcycle. At the moment, it is only a concept but the GUZZI V85, with its fascinating lines that are reminiscent of the 80’s, is exactly the crossover for long journeys that we have been seeking. We would love to see this model introduced to the range but we will have to wait for its first production run which is not due until 2018. It is worth noting that the motorcycle and its trim are suitable for all terrains. The latest 90-degree V engine (850CC and 80HP power) and the beautiful red frame add a pleasing retro feel. 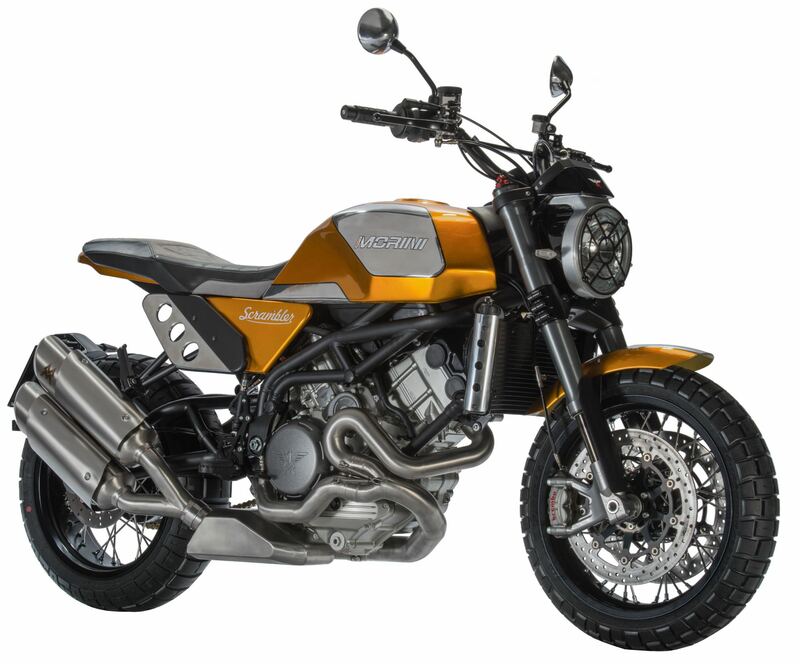 Well presented within the brand stand, was the Superdual touring motorcycle, which was introduced prior to the Milan show and as a result it is already on sale. The motorcycle is a multi-purpose crossover (600 CC) with an Enduro front chassis, 19″ and 17″ wheels. Also available is the “X” version with 21″ and 18″ wheels. We recall the two editions of the new V-Strom: 1000 ABS / XT ABS and 650 ABS / XT ABS. These models are not completely new, as they were launched onto the market during 2017, but their touring vocation and ease of riding certainly deserve a mention. They definitely form part of the on road / off road collection of models that are worthy of attention. 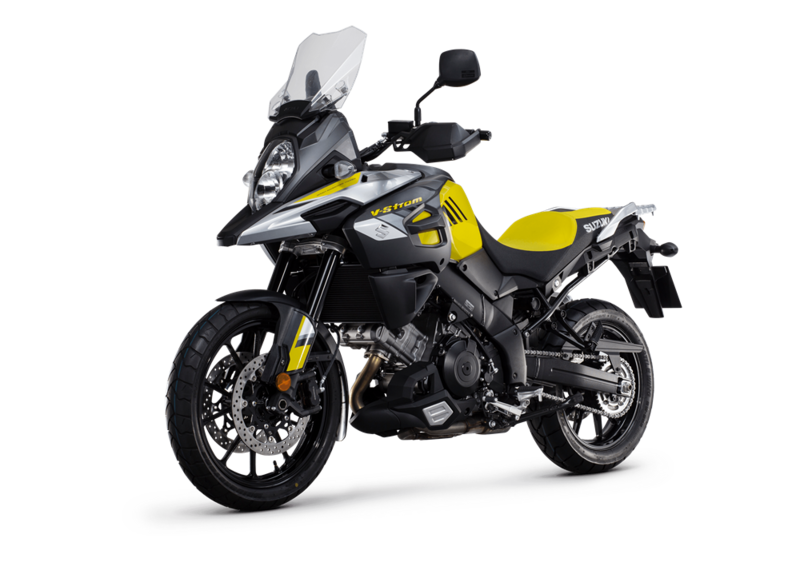 The Tiger 800 XCx / XCa, XR / XRx / XRt is the range of five “English tigers” where every model is suited to two-wheeled adventure. Starting at 800 CC the entire range has been completely revised. The XCx / XCa torque offers ant. 21″ on the wheels and a more responsive 3-cylinder engine with new gear ratios. The braking system has also been updated, along with the cruise control, riding position and the cockpit. The XCa version is ideal for long journeys, incorporating an extra mode for off-road riding and a good number of standard accessories. The trio made up of the XR / XRx / XRt, with spoked wheels and ant. from 19” is recommended for those who enjoy “comfortable” road trips. The first is the least expensive of the range whilst still offering ABS, traction control, immobiliser and onboard computer. The XRX is the intermediate model, while the XRx is the top of the range with adjustable suspension, heated saddle, five driving modes … and countless other features. Even the two families / four versions of the Tiger 1200 have undergone an upgrade that involved over 100 modifications. 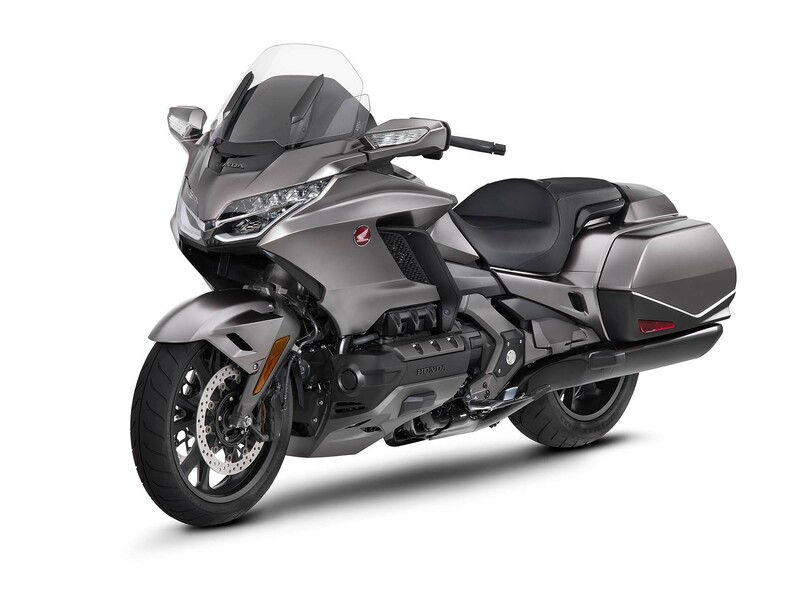 All four 1200 tourers have 19″ and 17″ wheels, a 141HP, 3-cylinder engine with cardan transmission. The top of the range is the XCa. The standard model has the assisted gear that avoids the use of the clutch, hill hold function, adaptive headlight and titanium discharge. The XRt and XR are comfortable on asphalt, are equipped with racing wheels and a range of classic technical features. Between the two models, the XRt is the richest in terms of features and equipment. The crossover Tracer 900 and 900GT have both been subject to aesthetic restyling to enhance both comfort and appearance and various aspects of the vehicle have been revised, including the handlebars, rear mudguard, saddle housing and footrests. The revision of the chassis involves the swing-arm extension and the suspension. At EICMA, Yamaha introduced the GT version which is well-equipped to travel long distances to far-away locations, with three mappings, traction control, clutch-less gearbox, super adjustable suspension, dedicated TFT instrumentation plus countless other features. The Ténéré 700 World Raid is not yet ready for the market but it is close to its final version. Compact and configured for mixed riding, it offers performance that is higher than the MT-07 from which it inherits its twin-cylinder engine. It is equipped with a large capacity fuel tank, without making the vehicle cumbersome. Also presented at EICMA was the Super Ténéré Raid Edition, a new version of the Yamaha Maxi-Enduro motorcycle, equipped as standard for long journeys. The new 6-cylinder engine enables the rider to travel around the world…whilst sitting in an armchair. Thanks to the aluminium frame, it is almost 50Kg lighter than the previous edition. 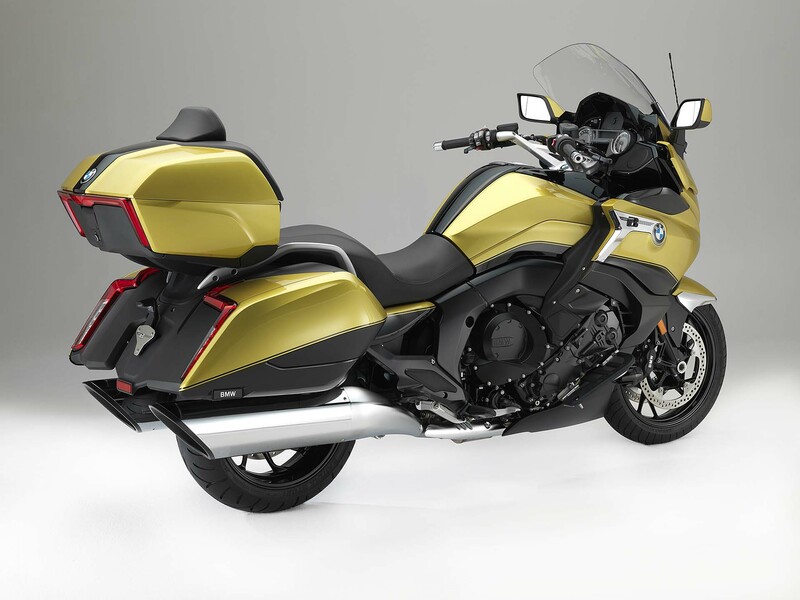 It has all the electronic controls synonymous with the Goldwing and it is also equipped with reverse gear. The Tour version is also available with an airbag and as a DCT version. This model takes after the style of European vehicles. A 6-cylinder engine, 1649CC / 160CV with electronics used in the car industry including electronic reverse. It boasts amazing load-carrying capacity and optimum aerodynamic protection.